You may have recently read in the Babergh District Council's 'Sort It' publication, that plastic bags, carrier bags and plastic film should no longer be put in the blue household recycling bin. But why the change you may be wondering? The reason is principally because more and more shops are now issuing plastic bags that are made of a degradable / biodegradable material that cannot be recycled (and it is not value for money for the Council Tax Payer to have the sorting facility slowed down to examine what is or is not degradable). 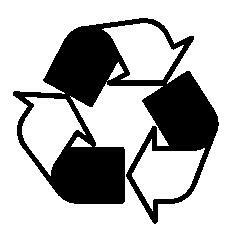 1 - Avoid, 2 – Reduce, 3 – Reuse, 4 - Recycle/Recover & 5 – Dispose. Firstly avoid using plastic bags and instead use an ordinary material shopping bag or more rugged plastic 'bags for life' that retailers issue. Secondly, if you must use carrier bags, then reuse them when shopping or to wrap food waste in your black bin, or take them to a local charity shop who may accept the non-degradable variety. As for recycling, some supermarkets take back plastic bags for recycling, although this is usually only possible for non-degradable plastic bags. Hence the starch-based bags will degrade into confetti like pieces and cannot be recycled. As a last resort put them in your black bin for landfill. Importantly, please ensure that all other recyclables are put loose in the bin. Non-Babergh approved bags for recyclables, either in or next to the bin, may be left by the bin collection crew. Items such as glass and textiles must not go in your blue bin, but they can still be recycled at community recycling centres or at the Household Waste and Recycling Centres, such as the one at Sandy Lane, Sudbury. There are over 90 glass banks throughout the Babergh district, located at supermarkets, village halls, pubs, and other prime locations in your community. The sites in Great Cornard are Poplar Road shops and The Highbury Barn PH. There are also banks at The Kingfisher leisure centre and in North Street, Sudbury. Glass can be recycled indefinitely and last year approximately 1,500 tonnes of glass were recycled in Babergh. Glass recycling saves energy, conserves the environment and creates local jobs. It can also mean community groups receive up to £18 per tonne of glass by way of recycling credits from the Council. In the last 18 months the banks at Poplar Road Shops raised over £800 for Great Cornard Parish Council. Every one of us can play a part in conservation by simply using glass banks. Textiles and shoes can also be taken to a charity shop. High-grade clothing is reused by charities either in the UK or abroad. Lower grade textiles are used for cleaning cloths or filling for the furnishing industry. Last year Babergh collected over 50 tonnes of textiles that would otherwise have been landfilled.